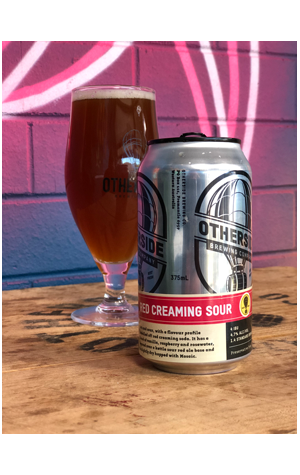 The irony about this Experimental Series release from Otherside is that, while it stretches the notion of what beer can be in true experimental fashion, the name tells you everything you need to know – it actually couldn’t be more transparent with the throbbing head rush of saccharine vanilla and raspberry, a combination that’s fuelled equal amounts of children’s glee and parents' concern. In its beerified format, the immediate sugar rush is palpable, while the romance of flavours plays out in equally giddy fashion. Veiled beneath this hyper-saturated nostalgia is a slight Ocean Spray-like ruby grapefruit tartness, one that's parked outside the party, probably wondering when the festivities will subside. Experimentation aside, there is no doubt that Red Creaming Sour delivers on its promise and, as such, how much you enjoy it will depend on how much of a kid there is left in you.